2 images. 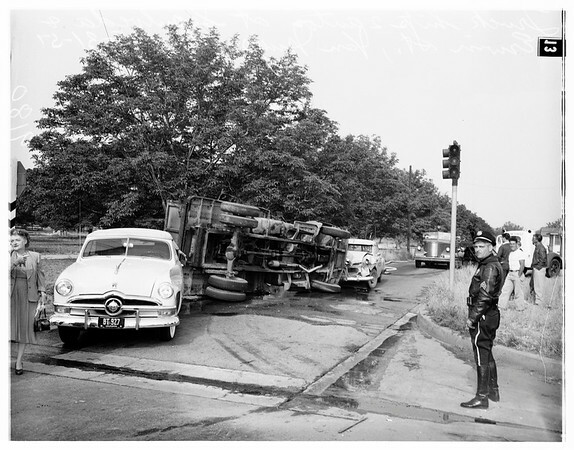 Truck hits two cars and overturns, May 31, 1951. Sepulveda Boulevard and Erwin Street, Van Nuys.